There are many buzz words around pregnancy and parenting, and so many of them do come and go in phases, but something that is mentioned again and again is ‘bonding’. Everyone knows what this means – or do they? There is a lot talked about the importance of bonding and attachment in the parenting press. I’d like to clarify what the difference is between them and what you can do to improve them. Bonding is how you feel about your child and it can start before your baby is born. It’s the feelings of love you have for your baby. There is a common misconception that all mothers feel bonded with their babies the second they are born, but this is not true and it can take many months for mothers – and fathers – to bond with their babies. Attachment is more about your baby’s relationship with you (and others). It describes how secure your baby feels in certain relationships. If you have a strong bond with your baby, it helps them to develop a secure attachment to you, as you are more likely to respond to their needs in an appropriate and timely way. For this reason, it can be useful to know what you can do to promote that sense of bonding with your child, and I’ve put together a brief list of ideas, and services in Edinburgh that can support you to bond with your baby. Before birth, finding ways to connect and reflect upon your unborn child are a good way to bond. 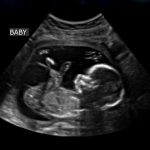 3D or 4D scans, such as the ones offered by ABC4D, Babes in the Womb, Ultrasound Direct and other private clinics can help start making the baby seem more ‘real’. This can also be encouraged by interacting with the baby when you feel movement, talking to the baby (and encouraging others to do so) and even writing reflective letters to the baby can be useful ways to start building this new relationship. Once your baby is born, immediate (and prolonged) skin to skin to contact is one of the best things you can do to start the bonding process. Unfortunately it is not always possible to have skin to skin contact right at the beginning, but the great thing is that skin to skin promotes bonding at any stage. Having baths with your baby or just having cuddles with them next to your chest are good ways to increase the hormones that promote your bond with your baby. Breastfeeding is a great way to bond with your baby. Many people struggle with breastfeeding, and there are lots of great supports available around Edinburgh if you need a hand. As well as NHS, NCT and La Leche league breastfeeding supports, you can access support from services such as Nurture Me, The Breastfeeding Company, and Edinburgh Breastfeeding. Baby massage is another great way to bond with your baby, as it gives you space to learn about your baby’s responses and preferences. This kind of loving touch is a great way to explore with your baby. There are many different places offering baby massage, and sometimes you can find classes through your health visitor. Other places you can try include Edinburgh Baby Massage, Scents of Wellbeing, Knot Stressed, the Pregnancy and Parent Centre, and many other organisations. It can be useful to think about developing your bond with your baby in the same way that you would develop any other relationship. Spending time doing activities you enjoy together, learning about each other’s preferences – these are all things that develop your relationship with your baby. There are myriad classes to do with your baby, including music classes, swimming classes, yoga classes, messy play classes. Doing things that you both enjoy can be a really fun way to bond with your baby. Although babies can’t talk, they do communicate in other ways, and Berry Brazelton, the well-known paediatrician developed the Newborn Observation System, to help parents tune into their baby’s unique way of communicating. This is offered in various places around the UK, sometimes through Health Visitors. In Edinburgh, it is part of the Baby Kind observation sessions. These are just a few ideas of ways you can develop your bond with your baby, and increase your enjoyment of parenthood as much as possible. However, sometimes this bonding process can be disrupted, especially if you have had fertility issues, a traumatic birth, or stressful life events during your pregnancy or afterwards. If you feel as though you are not enjoying your baby as much as you would like to, it’s worth speaking to your Doctor or heath visitor, who might suggest various options, including counselling. There are also various places in Edinburgh you can self-refer to access emotional support, such as Crossreach, Juno Perinatal Mental Health Support and I also provide counselling through Birth and Beyond.